I am writing to let everyone know that our last Carolina Hope baby came home from Guatemala this week. I’m so happy to be able to say that every child is home with their respective families. Thank you to everyone who has been praying for Carolina Hope and for the children to come home. Please continue to pray for the children and people of Guatemala. Now that adoptions have stopped, it is scary to think about what will happen to all the children left behind. Below are quotes from a few families who most recently returned. We do not know the future of Guatemala adoptions (if you know how to use Google to search for news, you have access to as much information as we do). Any major announcements will be posted to our Guatemala Adoptions page. Over at the conservative website Townhall.com, John Stossel (formerly of 20/20) writes an eyebrow-raising piece called USA Makes Adoption Harder. I want to be very clear that some of Stossel’s statements make me uncomfortable, and this is not an endorsement of Stossel’s article. But much of what he says is a simple reality, however unpopular it is to say. Incidentally, notice that Stossel adopts the language of adoption opponents when he uses the expression “baby broker”; he’s not endorsing the idea that actual baby-brokering is moral. “Central authority”? This from our government? They sound like Soviet apparatchiks. Yes, it’s old news now (six-days old! ), but I wanted to pass along this notice from U.S. Citizenship and Immigration Services about the current status of Guatemala adoptions and adoption law. This press release is available from the USCIS website as a PDF. The Department of State advises potential adoptive parents and adoption service providers not to initiate new adoptions from Guatemala because of the great uncertainties surrounding implementation of Guatemala’s new adoption law. As part of our ongoing Guatemala 5000 Initiative, Joint Council has maintained dialogue with USDOS and USCIS and met with them most recently on January 7 and again on January 10, 2008. Meetings were also held with UNICEF on December 18, 2007, and on January 9, 2008. Similar dialogue was held with Guatemalan Congressional representatives and government officials along with members of the US Congress over the past three weeks. Based on these meetings and in consultation with the Guatemala Caucus Co-chairs, the following represents Joint Council’s understandings and advocacy efforts. This morning the Joint Council on International Children’s Services issued the following announcement about newly proposed adoption legislation in the Guatemalan congress. Although this legislation hasn’t passed, this is a good step in the right direction, and it’s encouraging to adoption agencies and adoptive families. 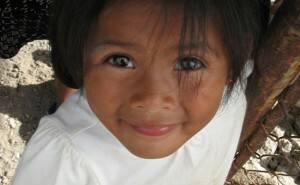 More importantly, it’s good news for Guatemalan children in need of adoption. As you know, Joint Council has continued to advocate for a rational and child centric transition to the Hague Convention in Guatemala. During our recent presentation with at the Adoption Ethics and Accountability Conference, we called for the completion of adoptions in-process, the implementation of the Conventions core elements, an effective implementation date of April 2008 and funding for capacity building. We have continued to work with our colleagues in Guatemala along with members of the Guatemalan Congress in developing a functional child welfare system. The Joint Council on International Children’s Services has posted copies of the letters sent by the U.S. Congress to Guatemalan President Oscar Berger and to UNICEF. If you participated in lobbying your congressmen to sign the letters, thank you. The announcement (and link) from JCICS are below. Joint Council has posted copies online of the two Congressional letters which were submitted to the President of Guatemala and to UNICEF earlier this week. Over 200 Members of Congress signed each letter! To download a copy of the letters from the U.S. Congress, please visit our Guatemala 5000 Page. The Guatemala 5000 Initiative was successful in securing congressional support largely because of your encouragement and advocacy. Again, we thank you for all of your efforts. Have a wonderful weekend!